You don’t want to be late for Easter dinner do you? The best way I have found to make sure things run on time for Easter is an Emily & Meritt Bunny Alarm Clock from the fine folks at PBTeen. 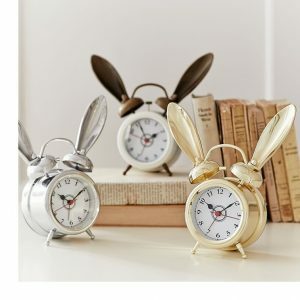 Find the Emily & Meritt Bunny Alarm Clocks from PBTeen here. Lost Cowboy is powered by	WordPress 5.0.4 and delivered to you in 0.996 seconds using 42 queries.